There are over 23 million living veterans in America. That’s roughly 338 football stadiums filled to capacity! Our soldiers returning home from the harsh realities of military service face a new challenge – reintegrating into normal civilian life. Take a moment to think about a returning vet’s new reality. Going from battle in Afghanistan one day to the grocery store in Arkansas the next week feels utterly surreal. Switching from being on hyperalert and always looking for and battling the enemy to being suddenly surrounded by friends and family can be jarring, especially as intrusive, traumatic memories endure. Soldiers may feel helpless as they think about buddies still deployed or experience survivor’s guilt when they’ve lost friends on the battlefield – and it’s a lifelong journey. Many veterans now live with a disability or other injury, and too many struggle with unemployment or homelessness. A 2016 study shows that one-third of adult homeless are men and nearly one-fourth of all homeless adults have served in the armed forces. The Substance Abuse and Mental Health Services Administration reports that only half of the veterans that need mental health treatment seek it, and only half of that group obtain suitable aid. There is a glaring need for more treatment resources and counselors for our veterans. Almost 31 percent of Vietnam veterans. As many as 10 percent of Gulf War (Desert Storm) veterans. Eleven percent of veterans of the war in Afghanistan. Twenty percent of Iraqi war veterans. That means that around 67 of those 338 football stadiums could be filled with veterans who deal with significant anxiety, depression and PTSD. Sadly, an estimated 22 veterans take their lives every day. Veterans deserve our respect. Veterans deserve our gratitude. Veterans deserve our support. It is our privilege. How do we show our gratitude and respect? First, start at home by leading your family to be intentionally thankful for those who’ve served in the military. Teach your kids about the call to duty and sacrifice that our servicemen and women answer. Fly a flag. Visit a war memorial. Let your kids see you walk up and say, “Thank you for your service,” to the man at the next gas pump wearing the “Vietnam Veteran” hat. Encourage your kids to echo the habit. I don’t know a single veteran whose spirits wouldn’t be lifted or feel a rush of positive emotion to receive a hug and “thank you” from an innocent, sincere child who thankfully does not know the horrors of war. Second, donate to one of the many organizations hitting the pavement hard to help our veterans. Some help them gain the education or life skills necessary to find employment, lift themselves out of homelessness, and adjust to new disabilities or injuries. Others assist veterans in combating substance abuse and addiction, and many focus on helping them push through PTSD and mental health challenges. Aside from donations, most organizations offer opportunities to volunteer. Perhaps your city has a veterans center or VFW hall you and your family can visit. By merely listening to veterans’ stories you can provide them with a therapeutic experience. Third, ask your pastor if your church has any outreach to veterans. Our churches should be the hands and feet of healing in our communities, and serving veterans is a tangible way to do that. 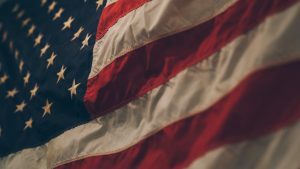 Pastors and lay-counselors can offer counseling, and churches can organize visitations with veterans or their families, host small groups and help them access resources. If your church does not have an ongoing outreach to veterans, help organize one. At the AACC, we provide tools and training that equip churches to know how to give help and healing associated with mental health and the local community. Veterans Day is a significant time for all Americans to stop and honor millions of our countrymen who’ve served in the military. However, our gratitude and respect only mean so much if our veterans are left to face their everyday problems alone. So, let’s take our appreciation a step further and reach out and support those who’ve done so much for us.